Amazon Web Services (AWS) has announced a new serverless solution for starting, scaling and shutting down database capacity. Amazon Aurora Serverless was first announced as a preview last year at re:Invent. The solution is now generally available, and designed as an on-demand, auto-scaling service without having to provision, scale and manage servers. According to the company, Aurora Serverless was built because many customers were dealing with intermittent cyclical usage patterns and unknown usage demands, causing capacity-planning challenges. Features include the ability to remove the complex database management, ability to scale compute and memory capacity, a pay only for database resources you consume model, and a fault-tolerant and self-healing platform. In addition, the company says use cases for the solution include infrequently-used applications, new applications you are deploying, variable workloads, unpredictable workloads and test databases. “Manually managing database capacity can take up valuable time and can lead to inefficient use of database resources. With Aurora Serverless, you simply create a database endpoint, optionally specify the desired database capacity range, and connect your applications. 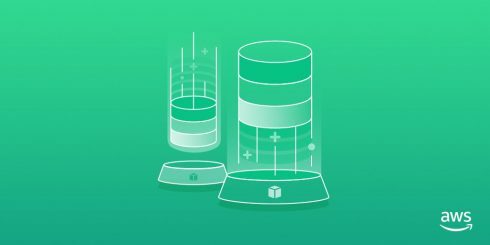 You pay on a per-second basis for the database capacity you use when the database is active, and migrate between standard and serverless configurations with a few clicks in the Amazon RDS Management Console,” according to the solution’s website. Amazon Aurora Serverless is available today for MySQL with availability in US East (N. Virginia), US East (Ohio), US West (Oregon), Europe (Ireland). AWS plans to expand to more regions in the near future.